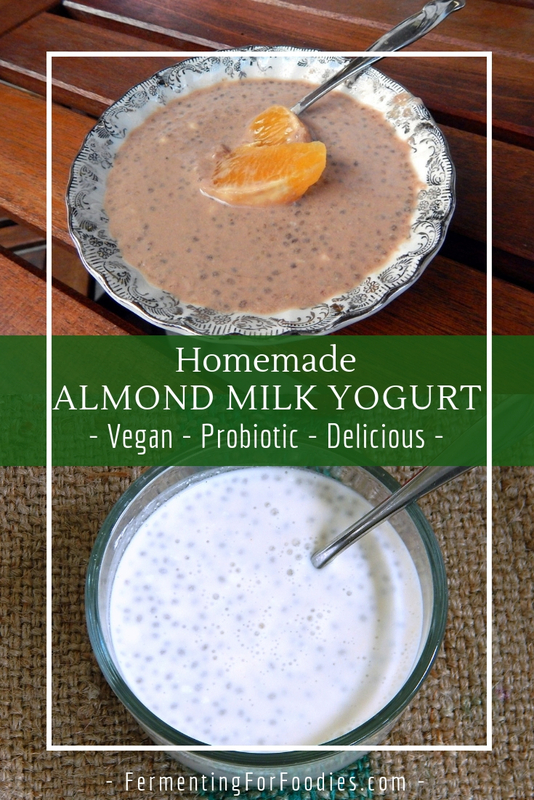 Homemade almond milk yogurt is a delicious way to get a dose of probiotics. 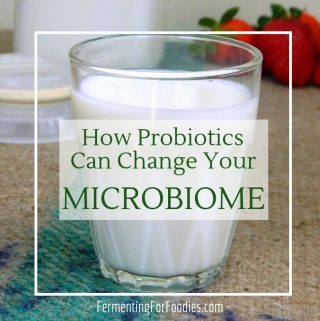 It’s a perfect dairy-free probiotic alternative for smoothies, breakfasts and desserts. Slowly heat the almond milk to 110 F (40 C), whisking occasionally to keep the milk from scalding on the bottom of the pot. At this point you may want to mix in a thickener. See the section below for more details on how to thicken your yogurt. Pour the milk into the culturing containers and stir culture into the milk. Maintain at around 105F (40 C) for at least 4 hours. If you like a sour yogurt then you can leave it for up to 24 hours. online, or use a good vegan yogurt. 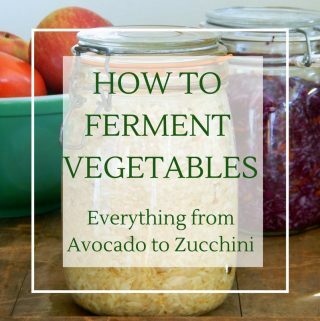 You can use a yogurt maker to make several small jars of yogurt. 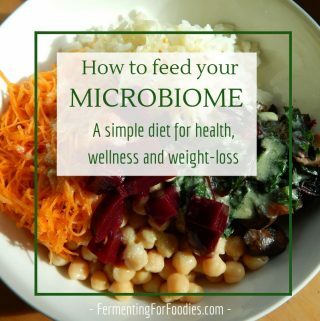 I use a fermentation box so that I can make a large volume of yogurt at once. However, here are some ways of making yogurt without a yogurt maker. To make chocolate almond milk yogurt, add 2 tbsp of cocoa powder to the hot almond milk before adding the culture. Stir in your favourite sweetener after culturing, or eat it with sliced bananas for a naturally sweet treat. Cultured almond milk is as thin as milk unless you add a thickener. While a thin yogurt is fine for smoothies and popsicles, it is easy to add a thicken. 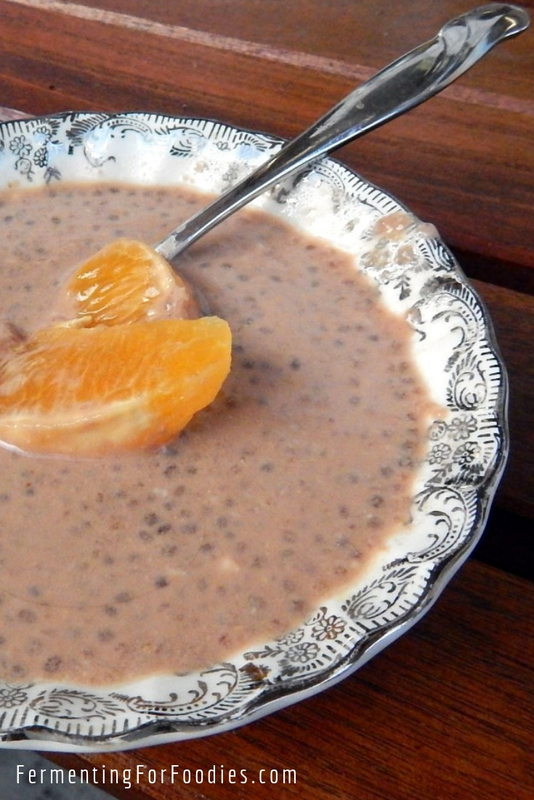 : Chia seeds are my favourite thickener. They are easy to use and add fiber, protein and omega-3 fatty acids. Hard to beat all of that! 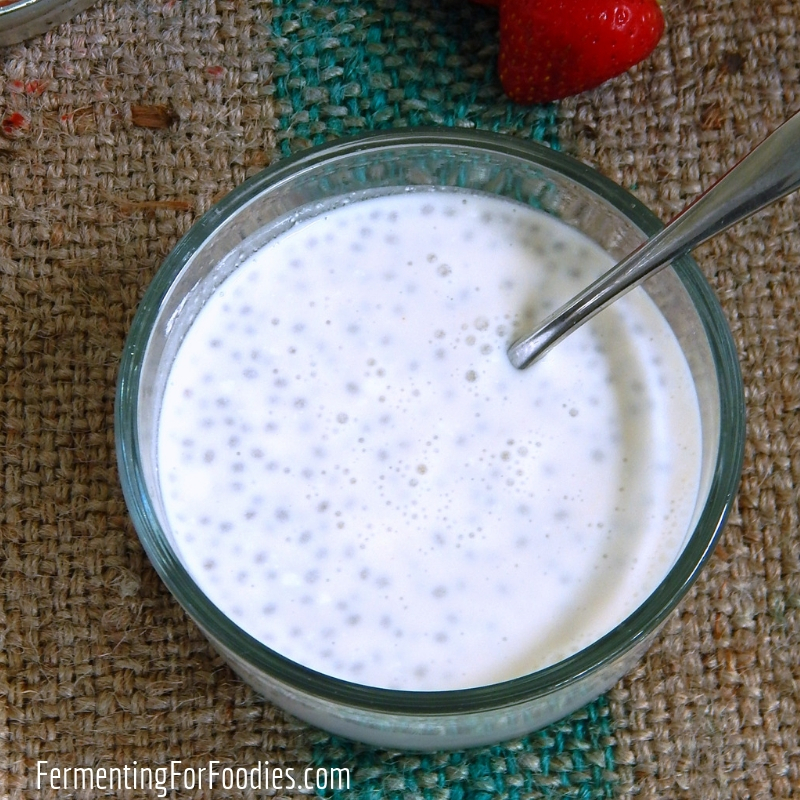 Simply 4 tbsp of chia seeds directly into the yogurt. : Dissolve 4 tbsp of tapioca starch in a small amount of water before adding to the warm milk. I haven’t found tapioca starch to work very well, as it tends to separate. : Whisk 1 tsp agar agar powder directly into the warm milk. : Xantham gum also has a tendency to separate. Whisk 1 tsp xantham gum into the milk. 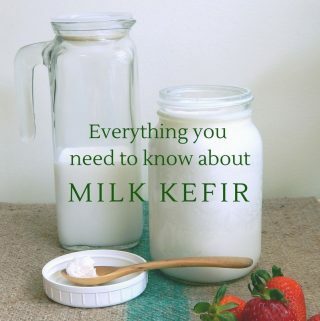 : Dissolve 2 tsp of guar gum in a small amount of water before adding to the milk. : Pectin will set a very firm yogurt. Use Pomonas Universal Pectin and follow directions on the package.